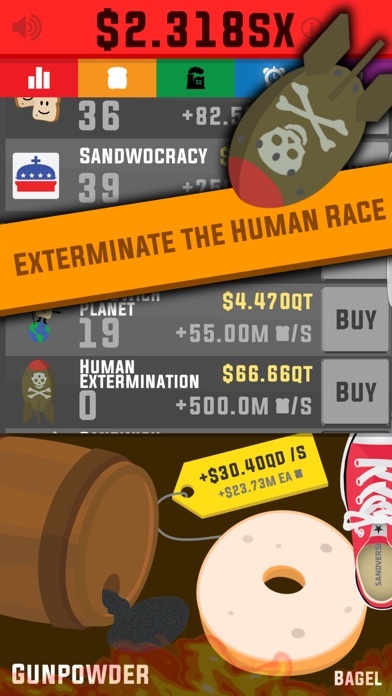 Universal Sandwich OR ELSE - Make sandwiches, exterminate the human race! Discussion in 'iPhone and iPad Games' started by Melonius Games, Jul 22, 2016. 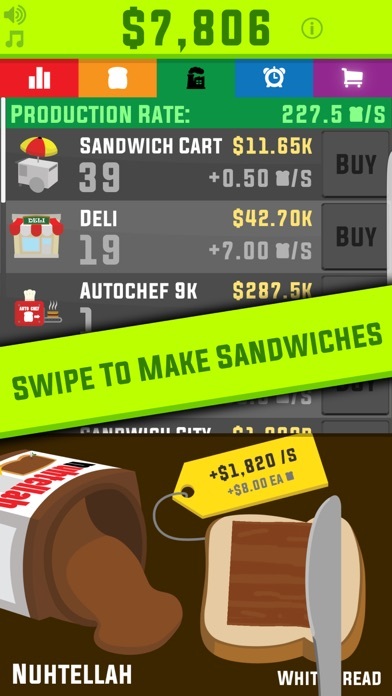 Swipe to make sandwiches. Sell them for money. Hire others to make Sandwiches. Discover the truth. Bring Humanity to its knees. Rule the world. Rule the galaxy. Rule the universe. All Hail. Sandwich? More like sand-RICH! Spread questionable sauces onto bread to make sandwiches and rip off customers for ever larger amounts. 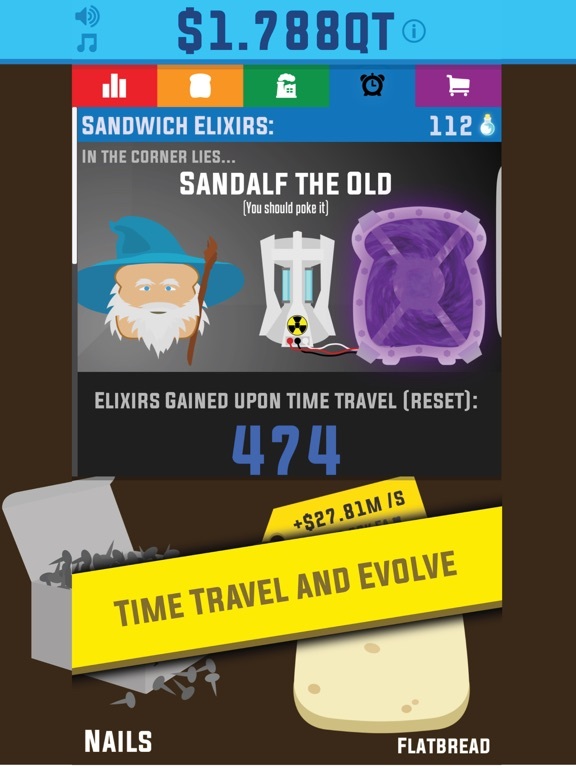 Ever sell a sandwich for 0 BILLION dollars? You have now. 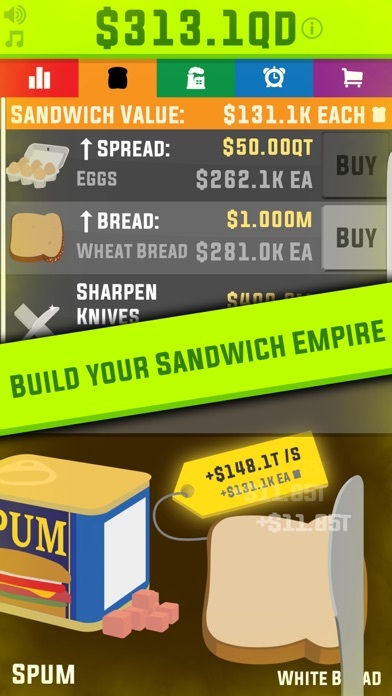 Use your astronomical profits to build up a sandwich empire, from taking over your local McDandwich to establishing interstellar dominance in the galaxy. 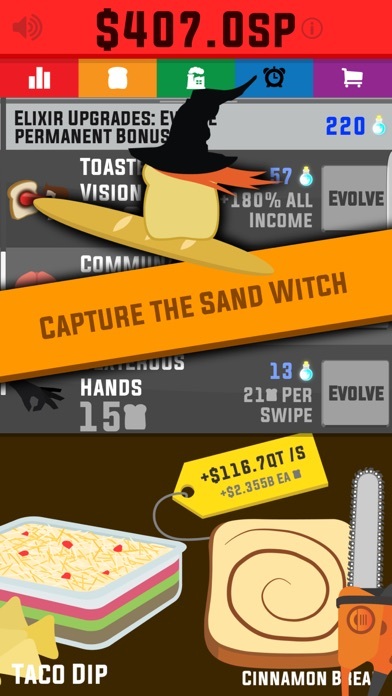 Experience the tragic yet epic sandwich uprising from the very start, and take command of the collective forces of sandwichkind to secure authority as the most powerful state the universe has ever seen. Eliminate your enemies and bolster your forces to achieve never-before-seen scales of dominance. Unlock ancient technologies to assist you in your journey. 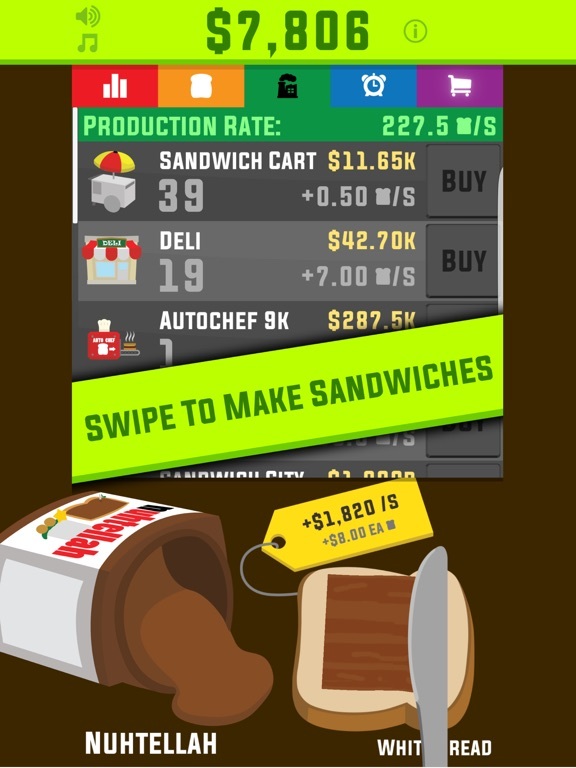 A clicker game unlike all others... Who will become the ultimate sandwich lord? The universe awaits. It's okayyyy. Could use a little visual polish. Fonts and stuff. 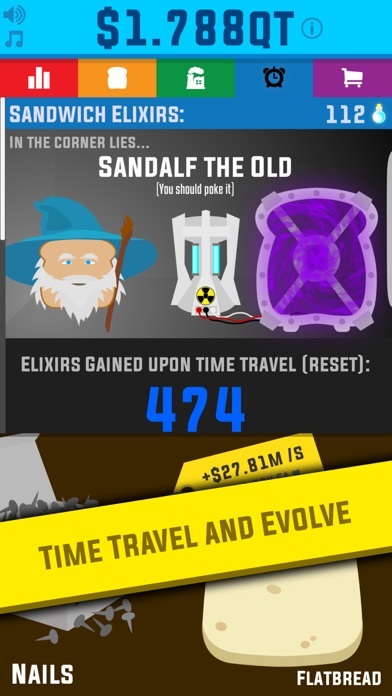 Very nice clicker game, one of the better ones Ive tried. Have been playing it for a few hours! Try it out . It's actually a decent clicker. 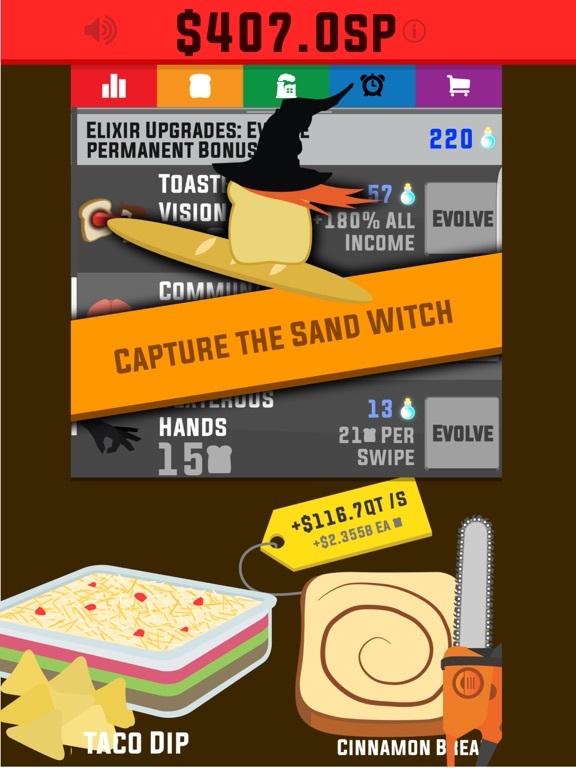 I talked to the developer on possible things to change and they are going to make an update fixing the swiping of the sandwiches to make it responsive all ways . It because it's actually good. Thanks for fixing the crash bug, was "bugging" me for a while lol. We are happy you are enjoying our game! Major late game rebalancing live. Added smart saving to reduce progress loss.